Edison Pen Co – New Pearlette Materials! We are very excited to announce our new lineup of Pearlette materials within our Production Line! These pens certainly are a smorgasbord of chatoyance (perhaps my favorite word)! Each year my family takes a nice vacation to Arizona. When we organized these three materials, we were quite inspired by the Arizona landscape. We decided to name these pens after our favorite vacation spot! So the new Pearlettes will be somewhat of a “Desert” theme. From left to right…Sonoran Sunset, Azure Skies, and Canyon Trail…. Sonoran Sunset is a nice deep copper-ish color with some pretty amazing depth and pearlization (chatoyance). Many of you will remember the Pearlized Wine that we used on the 2014 Limited Edition Glenmont as well as plenty of custom pens. If you’ve seen that Pearlized Wine material live you can certainly appreciate the amazing chatoyance that this material displays. Well, this Sonoran Sunset is the exact same composition as the Pearlized Wine, but obviously a different color (which I like better, personally). So expect these photos to not do the pen total justice. When you see this pen live and rotate it in the light, you’ll see all of that beautiful chatoyance that can’t always be captured accurately in a photo. Azure Skies is also made from the same composition as the Pearlized Wine and the above Sonoran Sunset, but is obviously a nicely saturated blue. Being the same composition, expect the same chatoyance! Canyon Trail has a very similar chatoyance (notice a pattern here?) to the other Pearlettes, but rather than a random mottled pattern, you’ll see some neat speckles within the material. All of these pens are part of our Production Line, so you will not buy these directly from Edison, but through any of our retailers listed here. We are pretty excited as each of these materials is a personal favorite of at least one person here on our crew. We’re taking bets on which one turns out to be the most popular! Be sure to give us your thoughts on this new lineup! Mr. Gray, you have done it again! The perfect colors! I love them all, but especially the Sonoran Sunset. Glad to hear that your wife’s surgery went fine. Hi Dave. Thanks for the kind words and well wishes! Have a great day! What a pen dilemma! They’re all gorgeous. Glad to hear that all is going well for Andrea…good wishes to both of you! Thanks the the kind wishes Mary! Brian, so glad that Andrea did so well. These new Pearlette materials are super! I’ve visited Tucson on a brief trip and was able to spend the afternoon at the Sonoran Desert Museum. Even though it got cloudy and I could not see the sunset, I will be able to see it every day in the Sonoran Sunset Pearlette pen I just ordered today from Goulet Pens. The other two materials are awesome too, but that Sonoran Sunset blows me away and even though I’m enjoying my wonderful Burnished Gold Collier I just got a few weeks ago, I knew I could not wait any longer for this Pearlette. Chotoyance is a word I learned many years ago, probably in my college mineralogy courses, and I cannot wait to see it in this beautiful material. One of my favorite properties of materials, and the word comes trippingly off the tongue too. Excellent Tom! 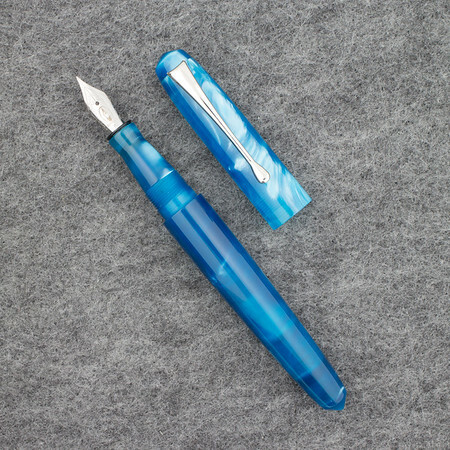 Be sure to give us feedback on the chatoyance when the pen arrives! Thanks for your business and have a great day! Brian, I got my new Sonoran Sunset Pearlette last Monday and it is the most beautiful pen I own (including four other wonderful Edison pens). 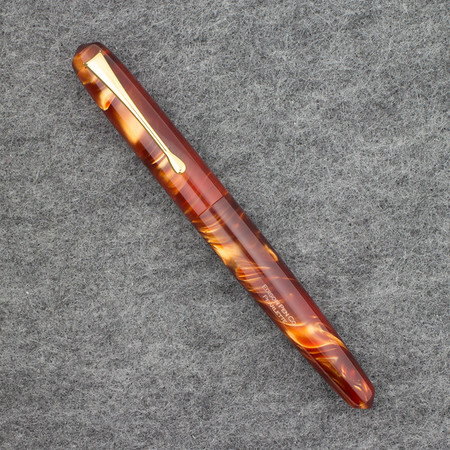 The chatoyance is fantastic, amazing gold fire bursting out of the depths of the lovely amber resin, I can’t hardly keep from starting at this pen. 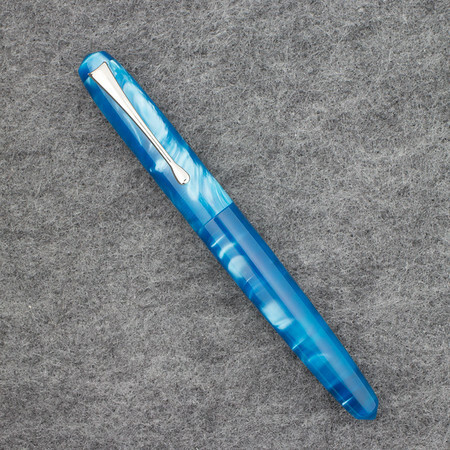 I left a review on Goulet Pens about it and included two photos of the pen. 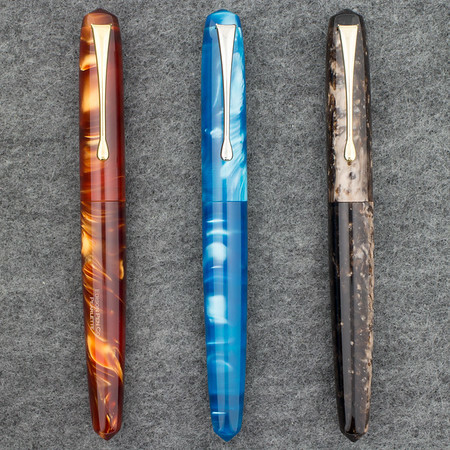 I hope Goulet releases one of their Quick Look videos of these pens, with very close ups of the pens as they are rotated under the camera to show these fantastic resins. 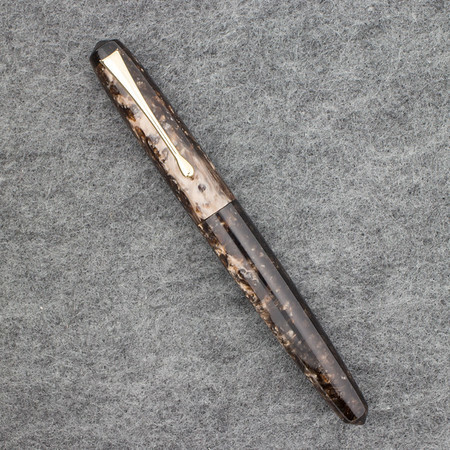 The Canyon Trail pen looks amazing, and a close up video showing its chatoyance is needed, as the features are not as distinctive in the still images. 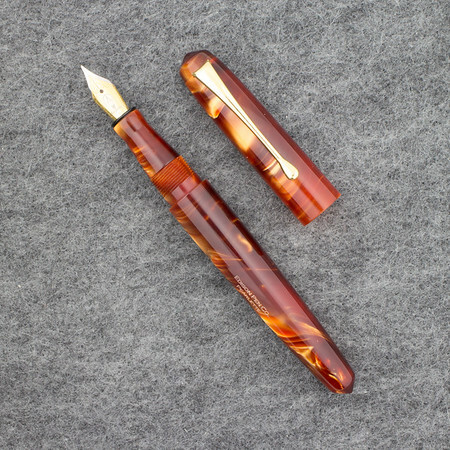 I noticed that Goulet has sold out of the Sonoran Sunset Pearlette pens rather quickly! In a week or so. One question, is the Sonoran Sunset resin available for a custom order? Thanks Tom! Thanks a lot for the feedback! We love hearing from happy customers. Just a question for an old left handed writer here. Do you perhaps have any suggestions for a lefty like me wanting to use a fountain. 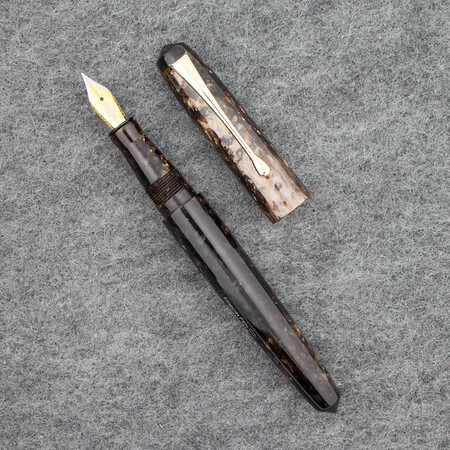 For example, are there any special fountain pens for us lefties? Any guidance would be most appreciated! I’d check out this guide here. Thanks!